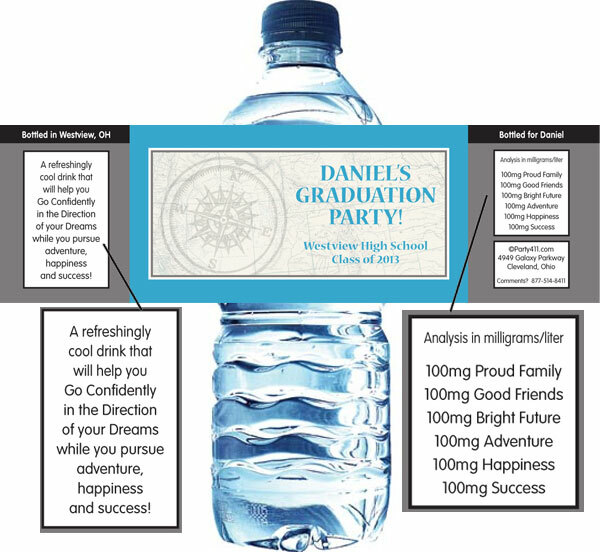 Personalized Graduation Water Bottle Labels. 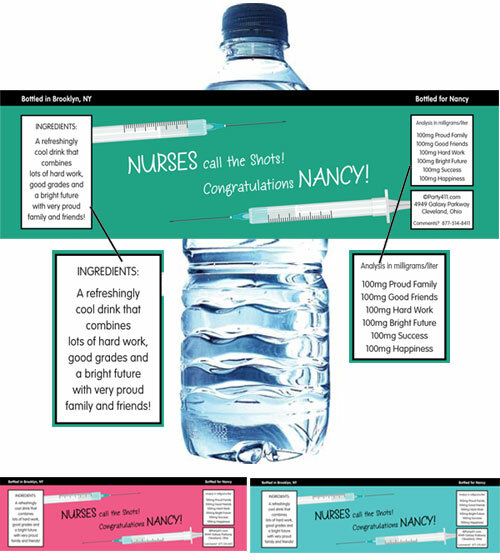 Send your grad off in style with these personalized graduation water bottle labels . A refreshing graduation party favor. Celebrate your graduation with this personalized graduation favor! Some H2O for your grad! Crime fighting is thirsty work! Celebrate your graduation with this license plate theme favor! There's nothing like water to keep your teeth clean! Celebrate your graduation with this owl theme personalized favor! Celebrate your graduation with this scrubs theme personalized favor! Celebrate your graduation with this calculator theme personalized favor! Celebrate your graduation with this personalized smart cookie theme favor!